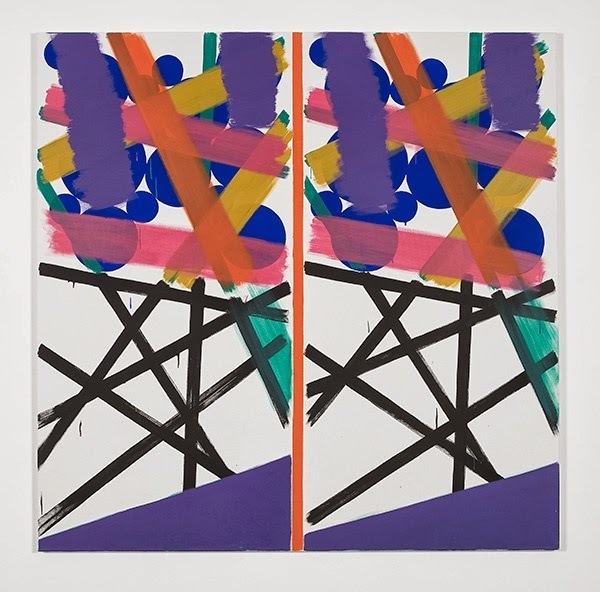 Always repeating the same strategy within his paintings, Piffaretti's image making begins by dividing the blank canvas in two with a vertical line. Layering one side of the painting with a cluster of marks and gestures, and then repeating the same motives on the opposing side of the painting. The repetition of the painted marks allows the viewer to address the painting as a taxonomy of gestures. As our eyes shuttle between each side of the image we are asked to differentiate the two sides of the painting from one another. Colour fields, grids, structures and flatness are deployed as a language of mark making. This language is both hermetic and referential. 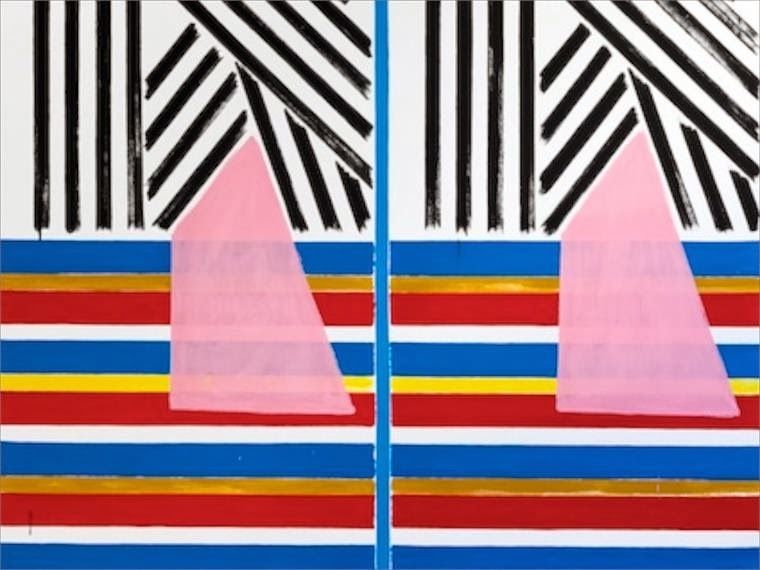 The paintings reference their own codes and systems of production whilst also the Modernist styled abstraction who's schematics have been so knowingly pushed and pulled over the course of the last century. As a sort of 'Meta-image', Piffaretti's paintings act as a mirroring device that reflects upon its own production and the traditions of paintings that exist outside of it.